The Paytm Payments Bank Debit & ATM Card is really convenient. You can use it to withdraw money from any ATM in the country, or pay at any store that has a Credit/Debit Card machine. While you should be excited about your new Paytm Payments Bank Debit & ATM Card, it’s also important we become vigilant of the means fraudsters use to dupe Debit Card holders. One of the most simple and infamous means is Card Skimming Machines. These machines are smaller than a deck of cards and are often ‘piggy-backed’ onto the ATM’s factory-installed card reader. They can capture data from the magnetic stripe on the back of your Debit Card. This information can then be pasted on a fraudulent Debit Card and the captured PIN can be used to withdraw money from your bank account. 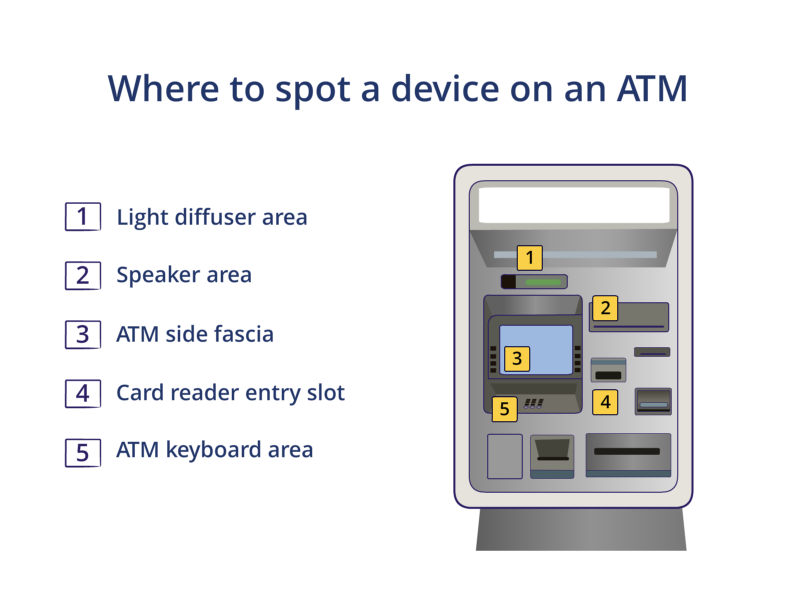 Spotting a Skimmer device in an ATM is easy. Remember, these devices are designed to look like a standard part of the terminal. They can be attached to the ATM rain cover, the card entry slot or in the form of a brochure holder has been placed on the side of the ATM machine wall. There is also a chance of a skimmer plate being placed over the top of the original keyboard as a method of PIN capturing. 1. Look around the ATM machine for places where a camera could be hidden. 2. Take a close look at the ATM keypad. If the keypad looks thicker than usual, there is a chance there is a fake overlay on top of it. 3. Look across the entire ATM machine for parts that don’t match in styling, color or material. 4. Try to jiggle the card reader. If it moves, you should too — to another ATM. If you think you have used a fraudulent ATM and feel your personal information has been compromised, tap on the Bank icon on your Paytm app, select the Debit & ATM Card option and block your card instantly. We have made it extremely convenient for you to block your card and change your ATM PIN. Please remember: If something doesn’t feel right about an ATM machine, just don’t use it. And whenever you can, use the chip on your Debit Card instead of the strip. Better safe than sorry. Follow these simple steps and your bank account will thank you. In case you haven’t applied for your own Debit Card, tap here to know how to do it! Previous articleFraud Awareness: Stay informed!